Well I promised my parents a white christmas..................and it's hardly stopped snowing since they arrived. 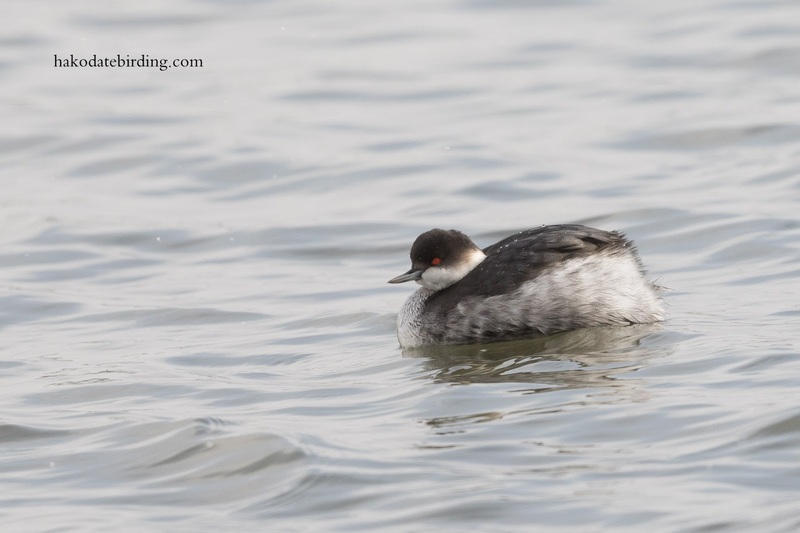 Not many birds around, a few Black Necked Grebes were in the harbour at Kamiiso.................and even they were in the middle nor doing much. Maybe the Snow will arrive. Enjoy Christmas with your parents anyway! No I meant it has been snowing ever since they arrived! It's a great bird in the winter, but spectacular in the summer. Enjoy the snow - you can't change the weather anyway. But perhaps your parents wanted just a centimetre or two when they asked for a White Christmas! Hope your parents enjoy a white Japanese Christmas and you can have mochi and noodles for New Year. Sounds nice. Well at least you gave your parents their wish of snow. 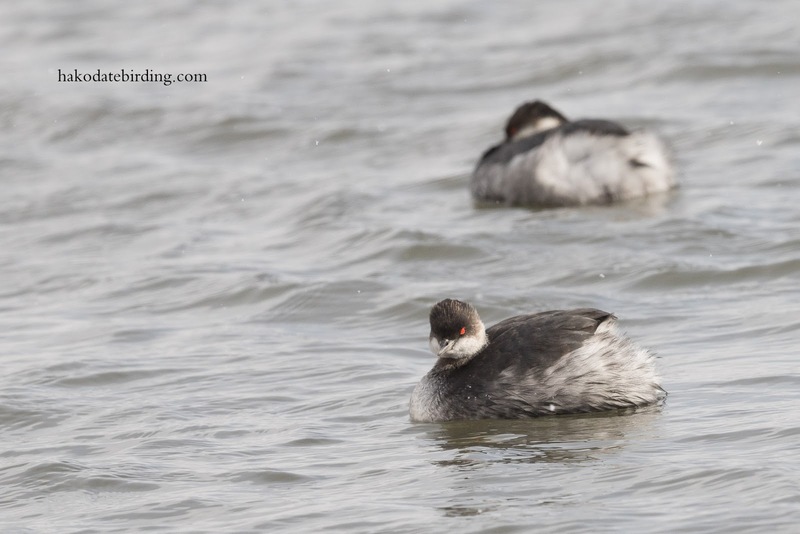 Good shots of the Grebes. Been very jealous of your recent posts. Every day off I have seems to be either tipping down or dark or both together. Have probably commented on this before, but BN Grebe is a very scarce winter bird here averaging a very few records annually - would gladly swap some of the 50-60 Slavs for one BN!